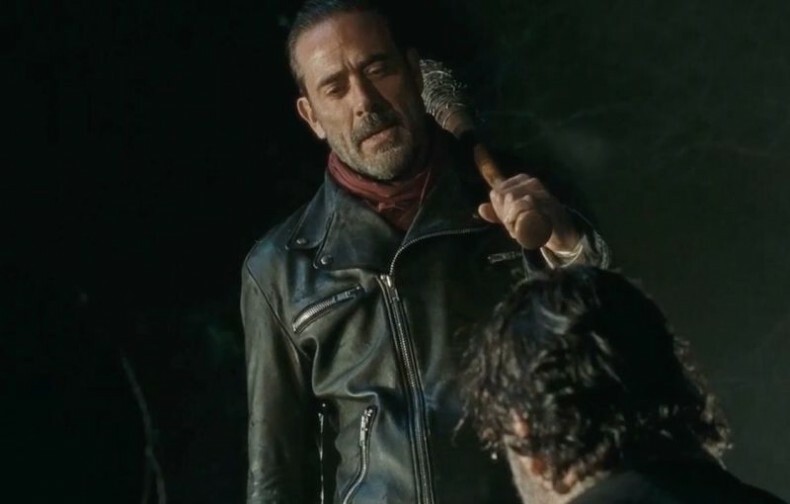 The latest issue of the Walking Dead comic book (number 154) is out now, and in the “Letter Hack” section, Robert Kirkman speaks up about the controversial season finale (or non-finale, as some see it) where viewers waited 90 minutes for Negan to pick someone and then we didn’t see who. 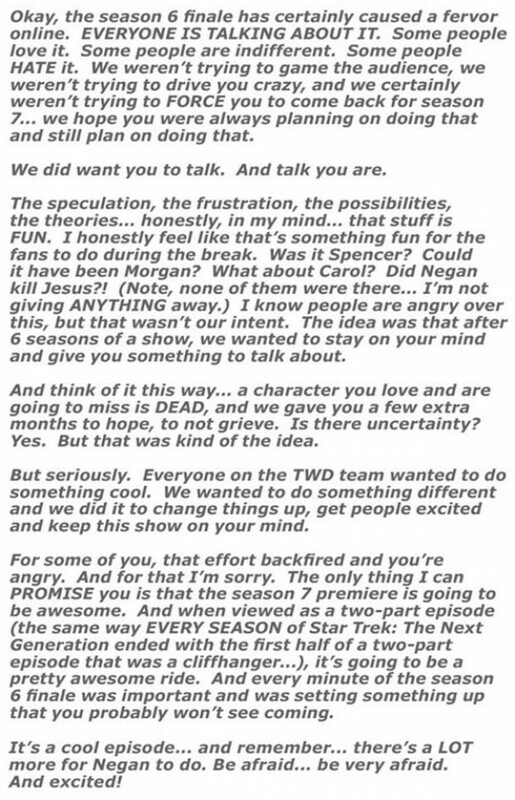 Kirkman tries to explain what he and the staff of the show were thinking. Anyone want to guess what the show was setting up?